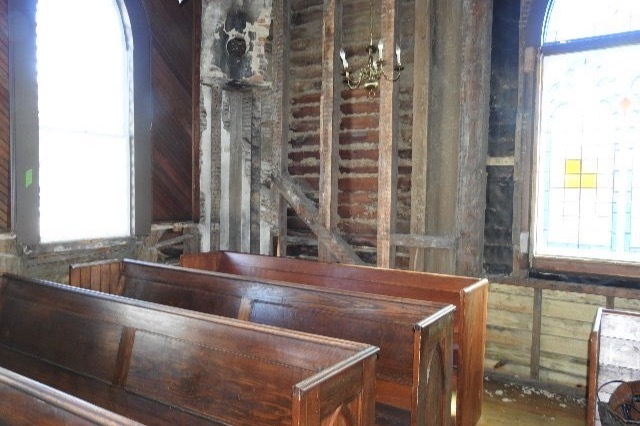 During Hurricane Florence, St. Philip's Episcopal Church sustained significant damage to 3 of our 4 buildings, including our Sanctuary and Chapel. After water and mold remediation we are left with extensive repairs. While we are insured the deductible is $218, 000. We have some funds to offset this cost, but need to raise the balance. We currently have limited access to our Main Sanctuary and are grateful for all donations we have received to offset our deductible. Our office building and Historic Chapel of the Cross are inaccessible at this time. See the homepage of our website, www.stphilipschurch.org, to view pictures of the damage.